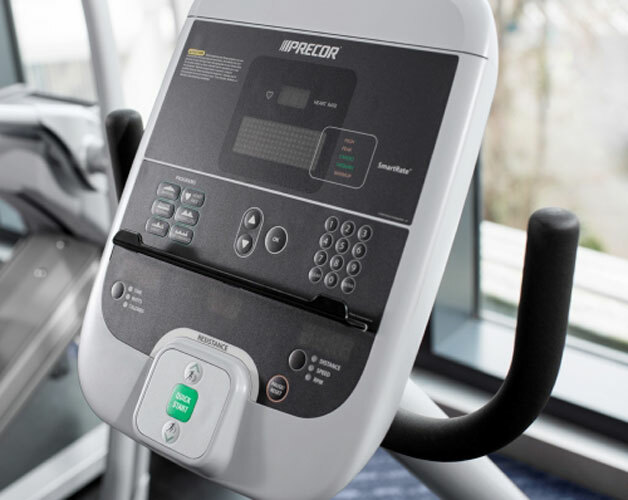 The new Precor RBK 615 recumbent bike features a step-through design to appeal to users of all ages. The simple seat adjustment allows the user to change the position of the seat with one hand, either on or off the bike. A ventilated air flex seat provides exceptional comfort.